After seeing the new Mango DIY competition, I decided to raid my craft supplies and see what I could whip up. I love customising; making something personal and unique. 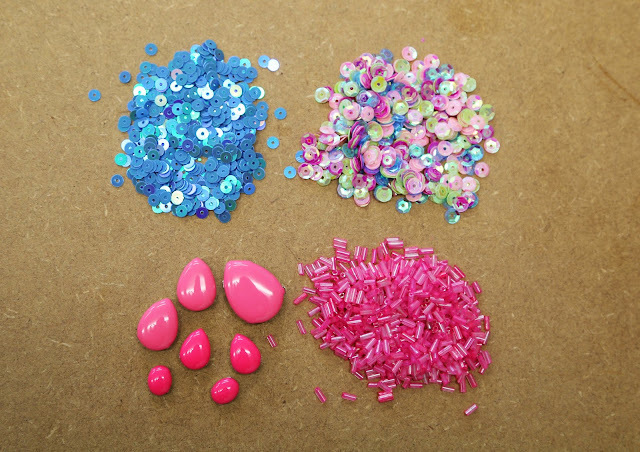 1) I always like to keep my options open, so having a variety of different gems and sequins is a bonus. Have a little play around with your design and see what arrangement works best. 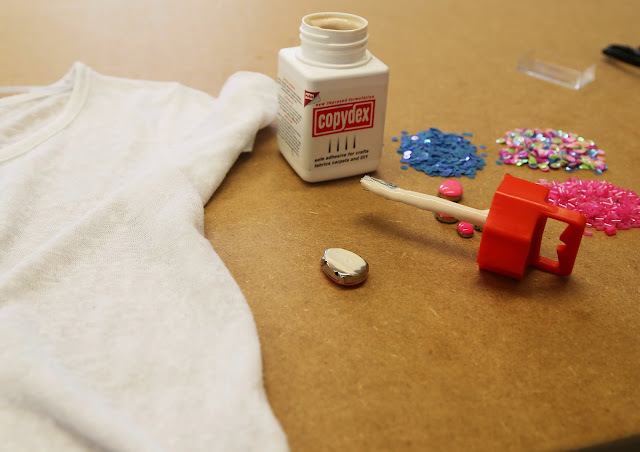 2) Copydex is a very strong craft adhesive, ideal for securing the larger gems. 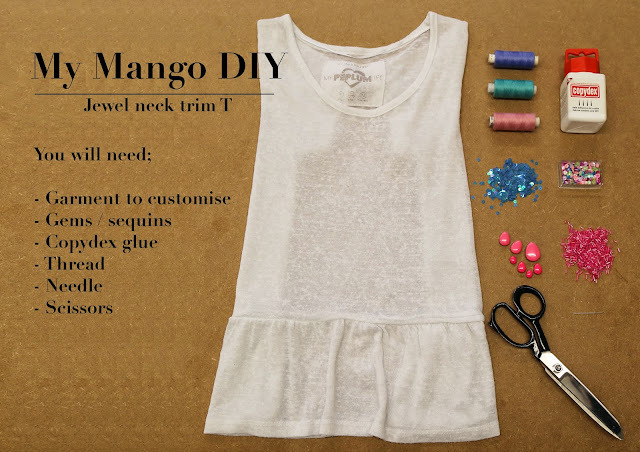 Apply a small amount to the back and place onto garment where desired, hold for 30 seconds to make sure it is pressed on firmly. 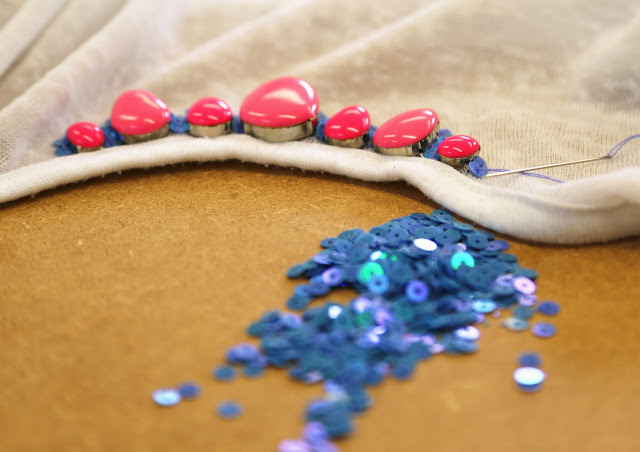 3) After attaching the gems I decided to break up the pink and stitched on an outline with blue sequins. 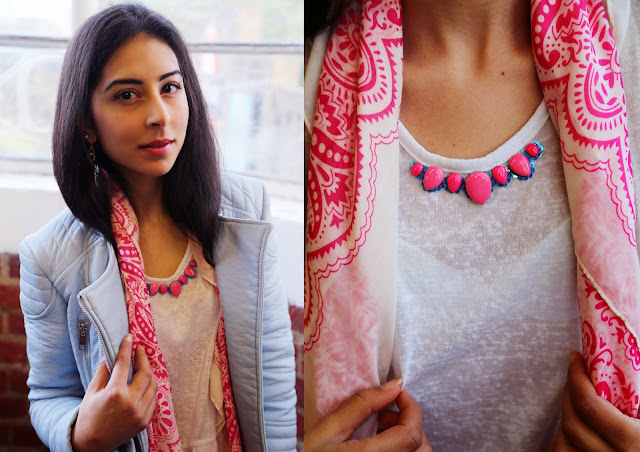 Tie up any loose ends on the reverse side and et voila – customising a classic is complete.